In a nod to semistrong form efficiency, a recent report from Standard & Poor's indicates that 74 percent of actively managed stock funds underperformed the market over the past three years. Another report shows that only 5 percent of stock funds remain in the top 25 percent of stock funds two years after the initial ranking. Perhaps even worse, large-cap stocks funds have trailed the S&P 500 by 52 percent on average over the past five years. All in all, if a group of highly motivated, well-educated, and well-compensated individuals cannot outperform the market, this is an indication that the market is relatively efficient. It is difficult to find reliable information on private companies, but a recent survey indicates that private companies across all industries have to wait an average of 40.3 days on receivables, the longest receivables period since it was 40.9 days in 2009. British banking giant Barclays announced that it would issue £5.8 billion in new stock. In addition, the company planned to issue £2 billion in new bonds that would face a mandatory conversion into stock if the bank get into trouble. Barlcays' new issues are different from many other corporate SEOs because the new stock and bonds are being issued since the bank has a regulatory capital shortfall. In short, banking regulators believe that Barclays has insufficient capital to meet its liabilities. As in most SEOs, the stock fell. In Barclays' case, the stock price dropped 6 percent. Chemical Plants Move To The U.S. The natural gas boom in the U.S. due to fracking has created a new import: chemical plants. Methanex, the world's largest methanol producer, is spending $1.1 billion to disassemble two chemical plants in northern Chile, ship, and reassemble the plants in Louisiana. The U.S experienced a trade surplus of $800 million in chemicals during 2012, a number that is expected to grow to $46 billion by 2020. Overall, about one-half of the spending in new chemical plants in the U.S. is funded foreign companies. How about increasing your finance skills? A recent survey indicates that 44 percent of senior finance executives want to upgrade finance staff skills in their company. And 39 percent of finance executives in another survey stated that they were "barely able" or "unable" to find the necessary finance talent to run their company. In short, study hard and maybe you can find a personally and financially rewarding career in finance. Detroit Increases Municipal Bond Rates? Detroit's bankruptcy filing may cause interest rates to spike for municipalities around the country. Many municipal bonds are backed by insurers, who stand by ready to make payments to bondholders should the municipality default. In Detroit's case, Assured Guaranty is backing $1.8 billion in sewer and water bonds and $300 million in general obligation (GO) bonds. Even though the $300 million in GO bonds is relatively small, the disposition of these bonds in bankruptcy will be crucial to municipal financing going forward. GO bonds are backed by ability of the municipality to levy taxes. Although there are only a limited number of legal precedents, GO bonds have generally been treated as secured debt, not unsecured. The difference is that if Detroit's GO bonds are considered secured debt, they must be repaid entirely. If Detroit's request to treat the GO bonds as unsecured debt goes through, the bondholders will likely not receive the full amount due. This could mean that future municipal GO issues are charged a higher insurance fee, and a higher interest rate. 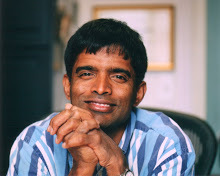 Our guest blogger this week is Dr. Aswath Damodaran from the Stern School at NYU. Dr. Damodaran is a noted expert on valuation and publishes his own blog, Musings on Markets. Dr. Damodaran has published numerous articles, including his updated article on the equity risk premium. Here, he discusses the different methods of valuing a company, a shortened version of his more detailed post. Investors, analysts, and financial journalists use different measures of value to make their investment cases, and it is not a surprise that these different value measures sometimes lead to confusion. For instance, at the peak of Apple's glory early last year, there were several articles making the point that Apple had become the most valuable company in history, using the market capitalization of the company to back the assertion. A few days ago, in a reflection of Apple's fall from grace, an article in WSJ noted that Google had exceeded Apple's value, using enterprise value as the measure of value. What are these different measures of value for the same firm? Why do they differ and what do they measure? Which one is the best measure of value? So what are the different measures of value? The first measure is the market value of equity, which measures the difference between the market value of all assets and the market value of debt. The second measure of market value is firm value, the sum of the market value of equity and the market value of debt. The third measure of market value nets out the market value of cash & other non-operating assets from firm value to arrive at enterprise value. One of the features of enterprise value is that it is relatively immune (though not completely so) from purely financial transactions. Each of these measures has problems. For example, to find the market values of equity, you need updated "market" values for equity, debt and cash/non-operating assets. In practice, the only number that you can get on an updated (and current) basis for most companies is the market price of the traded shares. You also must adjust for non-traded shares, management options, and convertible securities. To get from that price to composite market values often requires assumptions and approximations, which sometimes are merited but can sometimes lead to systematic errors in value estimates. When valuing debt, you must value non-traded debt and off balance sheet debt. Even cash presents problems when dealing with operating versus non-operating cash and cash trapped offshore. When it comes to which value estimate is the best, I am an agnostic, and I think each one carries information to investors. The PE ratio may be old fashioned, but it still is a useful measure of value for individual investors in companies, and enterprise value has its appeal in other contexts. Understanding what each value measure is capturing and being consistent in how it is computed, compared and scaled is far more important than finding the one best measure of value. Detroit became the largest municipality to file bankruptcy when it filed its Chapter 9 bankruptcy. The size of the city's liabilities are reported to be from $18 billion to $20 billion. Ken Orr, a bankruptcy expert hired to lead Detroit out of bankruptcy, initially made an offer of 10 cents on the dollar to creditors and less than 10 cents on the dollar to pension plans before the bankruptcy filing. Currently, 38 cents of every city dollar goes toward debt repayment and that figure was expected to rise to 65 cents by 2017. Of course, plans for the new $650 million Red Wings arena are unchanged since the funds for the arena come from a special $12.8 million per year property tax, not Detroit general funds, and $2 million per year from the Detroit Development Authority. A federal judge allowed a lawsuit for civil fraud to continue against credit rating agency Standard & Poor's. The lawsuit relates to S&P's credit ratings on $2.8 trillion worth of residential mortgage backed securities (RMBS) and $1.2 trillion worth of collateralized debt obligations (CDOs) from September 2004 to October 2007. S&P is accused of artificially inflating the credit rating of debt instruments in order to win more fees from issuers and bankers. Because of slow economic growth in much of the world, many governments have been engaged in a race to the bottom. That is, governmental policies have been designed to weaken the domestic currency. For example, Japan has engaged Abenomics, which was promoted by Prime Minister Shinzo Abe. In the past year, the yen has weakened from a high of about ¥75/$ to around ¥100/$. A reason countries engage in currency devaluation is to reduce the cost of exports, which increases exports and economic growth. The U.S. dollar has been rising steadily, recently reaching a three-year high. Although it appears that some of the increase in the strength of the dollar is due to U.S. economic performance, some of the increase is likely attributable to continued weakness in other economies around the world. British banks and the British Banking Authority (BBA) have been under fire for more than a year for manipulating LIBOR. In an effort to restore credibility to the widely followed interest rate, the BBA announced that the New York Stock Exchange will take over administration of the interest rate next year. The LIBOR is used as a reference rate for more than $550 trillion in derivatives and debt instruments. As the Intercontinental Exchange (ICE) derives income from derivative contracts that reference LIBOR and ICE is in the process of completing an acquisition of the NYSE, some have questioned the wisdom of allowing the NYSE to manage the calculation LIBOR. Diversification is the key to eliminating asset-specific risk from a portfolio. As this article points out, a diversified portfolio will never have the highest return in any particular short-term period. In fact, on average, a diversified portfolio should have middle of the road performance over a short period such as a month. However, as the results of this article show, over the long-term, a diversified portfolio can actually outperform many of the individual assets in the portfolio without the increased level of risk. In this case, from September 2003 to May 2013, a $10,000 investment would have grown to $19,860 if it were invested in the S&P 500. Over the same period, the investment would have grown to $24,199 in a diversified portfolio. We should note a couple of caveats. First, the hypothetical portfolio in this example was rebalanced monthly. In other words, whatever the beginning portfolio weight at the beginning of each month, the portfolio was readjusted at the end of the month so that the original portfolio weights were restored. While rebalancing is important, a longer rebalancing period, say a year, is probably preferable. Second, while we strongly believe in diversification (And our own portfolios prove it! ), the portfolio chosen by the author is aggressive and is not suitable for all investors. As you are by now aware, an increase in interest rates causes a decrease in the price of bonds. Given the recent increase in interest rates, bond prices have of course fallen. Pension funds rely primarily on bonds in order to fund future payouts to pensioners. You would think that the fall in bond prices has caused pension fund managers to panic, but your assumption would be incorrect. While bond prices have fallen in value, the pension liabilities have fallen in value as well. In fact, most pension liabilities have fallen more than the bond prices. The reason has to do with the duration of the bonds and pension liabilities. 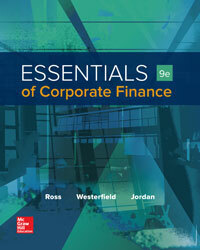 Higher-ed publisher Cengage Learning, Inc., filed for a prepack bankruptcy yesterday. The company is the second-largest publisher of college-course material in the U.S., and it offers, among other products, books that at least attempt to compete with our favorite textbooks. But things haven’t been going so well. For example, sales at Cengage "dis-Cengaged," dropping 18 percent for the six months prior to Dec. 31. As is typical in a bankruptcy filing, Cengage lists creditors to whom it owes money. Two of the more notable include well-known economics textbook author Gregory Mankiw (owed $1.6 million) and finance textbook author Eugene Brigham (owed $474,000). Unless Congress makes a retroactive change, the interest rate on subsidized student loans doubles today from 3.4 percent to 6.8 percent. So what does this mean to you? The article notes that the average student loan balance in 2011 was $27,000. Although this figure undoubtedly includes non-subsidized loans, suppose you graduate with $27,000 in subsidized student loans and make monthly payments over 20 years. How much would you pay under each scenario? At 3.4 percent interest, see if you don't agree that your payments would be $155.21 per month, while at 6.8. percent, the payments would be $206.10 per month. Making his second appearance in a row as a guest blogger is Dr. Richard Roll. Although much of our discussions in the textbook discuss the right way for corporate decision-making (a positive NPV), other factors can affect decisions and results in corporations. Here, Dr. Roll discuss how narcissism can affect the results of mergers and acquisitions. CEO narcissism seems to influence the takeover process. In mergers and acquisition (M&A) events, more narcissistic target firm CEOs obtain higher bid premiums; i.e., higher offers relative to the previously prevailing market price. Acquiring firm shareholders react less favorably to a takeover announcement when the target CEO is more narcissistic. In that case the acquiring firm’s stock price falls upon the M&A announcement. Among acquiring CEOs, narcissism is associated with initiating deals and negotiating faster. Acquirer and target CEO narcissism are both associated with a lower probability of deal completion. They also make it less likely that the target CEO will be employed by the merged firm. All these results hold after controlling for acquirer and target CEO overconfidence, which suggests that narcissism captures a distinct personality trait. In this research, narcissism is measured by the relative prevalence of first person personal pronoun usage in more than 1,700 transcripts of CEO extemporaneous speeches and interviews. CEOs in general have higher than average narcissism scores but there is substantial variation in the scores across CEOs.